It's in a small room which is going to be a home office with a futon, so the room can also be an extra guest bedroom. But I don't know what I want to do with this odd space. It's 5'8" wide, 4'6" deep and the half-wall below the sloped ceiling is about 3' high. One thought was to make a sort of deep counter space, with cabinet doors underneath, and room enough for some of those big plastic storage totes. Or maybe the whole thing could be a sewing nook? Again, with a very deep counter/table top. I thought about putting a desk in there, but I don't like the idea of having a sloping ceiling/wall right in my face. And it would be tough to put a computer monitor there. In the old days, I'd say a row of filing cabinets, but I'm getting rid of paper files and scanning everything in. 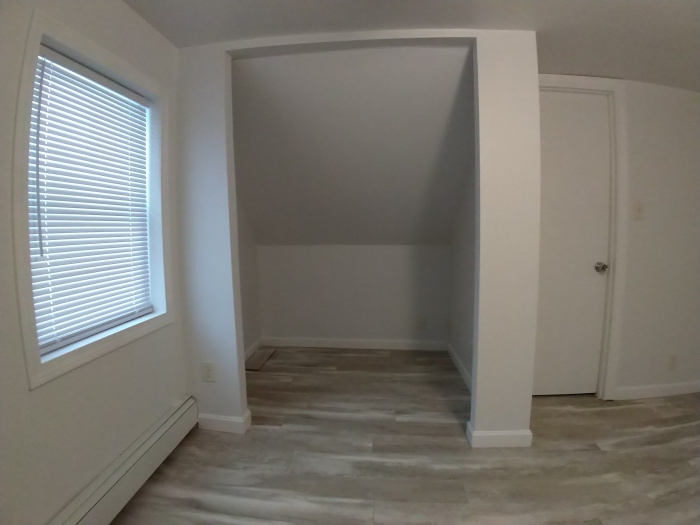 Re: Use for an odd-shaped alcove? 30" deep cubicals to fit the totes or what ever and install bi fold doors. Or put the desk in front of the cubicals on wheels so you can just move when you need to. My monitor is a DELL flat screen, so no depth needed, height might be limited, but not too much. It's a 19" that is about 4" deep, so it takes little room. It'll fit there nicely, on a desk, with cubby spaces built to each side to hold more office supplies, like tape, printer ink, staples, labels, extra pens, paper clips, etc. That would be an ideal desk cubicle, leaving the floorspace for other necessities, and you could close the bi-fold door, to close off the desk, when guests stayed over. How about a storage closet? I agree with zzzz..it’s a wonderful space for a storage closet. The opening IS sized for bifold doors. But it's such a small room, I liked having that little bit of extra open space. So I'm trying to come up with alternatives. Last edited by CaptTom; 04-11-2019 at 02:32 PM. One problem with a home office is the kitchen being right around the corner and every trip is an interruption. A coffee station with maybe a small frig below could improve productivity. I'm a coffee nut so that's where this thought comes from. 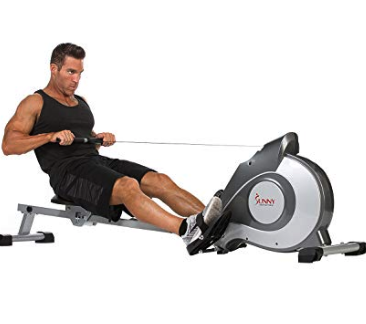 Would a piece of exercise equipment go in - such as a pullied rowing machine that is low in front and higher where you sit and pull? Or, an exercise bike (you'd be staring at the wall, however, I suppose you could mount an articulating arm to hold a tablet or TV). How about a Murphy bed? The foot stays where it is and the bed platform hinges at 2' and lifts up - close the bifolds and bed disappears. Last edited by Domo; 04-17-2019 at 12:34 AM. One problem with a home office is the kitchen being right around the corner and every trip is an interruption. A coffee station with maybe a small frig below could improve productivity. I'm a coffee nut so that's where this thought comes from. bits and kiddles... everybody happy!